Is it Monday already? Even more so, is it November already?!! Wow, this year is just flying by! 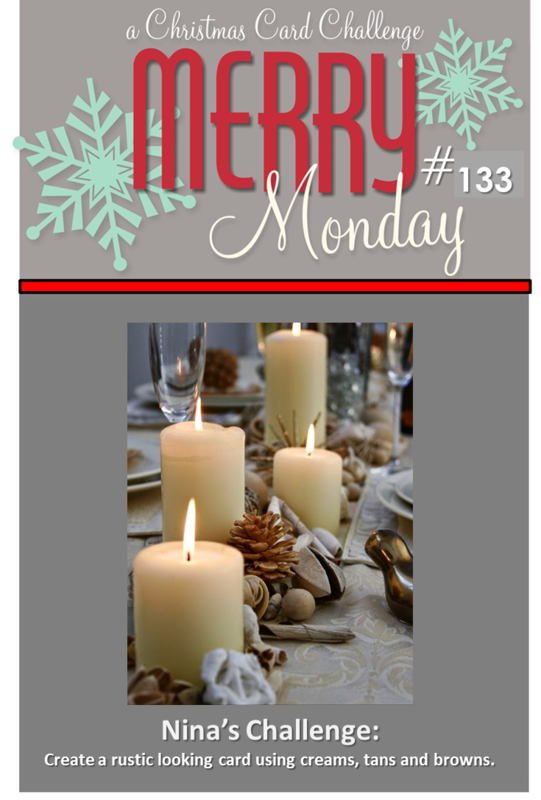 I hope you are able to slow down long enough to join the fun at Merry Monday this week because Nina has a wonderful challenge for us: create a rustic looking card using cream, tans and browns! 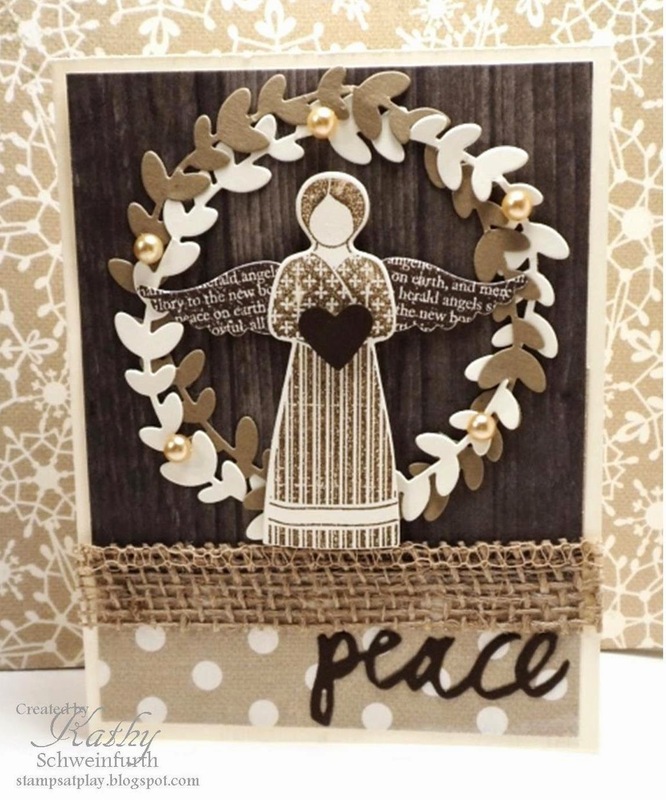 I chose a wood grain pattern paper to layer behind the rustic wreaths (PTI die) and stamped the angel in tan w/brown wings and heart (PTI Love Lives Here Holiday). I added a strip of burlap - which always seems rustic to me - some mocha pearls and die cut word "peace" (also PTI). Be sure to check out the yummy Design Team's cards to jump start those creative juices! Can't wait to see what YOU come up with! Very pretty rustic card! Love all the PTI products! Kathy - You've created such beautiful texture with this card. It's so perfectly rustic and serene. Your angel with her wreath background is just beautiful, Kathy. And the burlap is the perfect touch. Fantastic card! Beautiful card Kathy, look at all these fabulous details. I love it!! Oh Wow! Such a terrific card. I love all the texture and dimension. You really nailed the 'rustic' style. Beautiful!! Love the wood grain and burlap!! I love this angel, Kathy! And the wreath is so pretty behind her! The days are flying by! Hope you're having a great week! So beautiful and perfect, Kathy! I love this. Have a great rest of the week. Oh my, all these elements are so pretty! Love this angel and the way you've entwined the wreaths together. Each piece is so perfect for the rustic challenge! Rustic perfection! This is wonderful!